Reverse Osmosis water purifiers, RO water filter replacement cartridges, under counter water purifiers and home water purification is what we do! Blue Spot water purification is dedicated to provide water purifiers and filters with professional service and develop a personal relationship with all its customers. We believe that earning the customer's trust is important in the success of our business. We are committed to be accurate, resourceful and conduct business with integrity and excellence. Our water purifiers and filter systems are of the highest quality for ultimate customer satisfaction, making sure that the customers needs in water filtration are met! We supply, distribute and install water purifiers/filters for current and future customers. Installations are done within the Gauteng area. All Home and Industrial water filters and purifier parts are distributed across Sub-Saharan Africa. Some of our purification products include Reverse Osmosis purifiers, 3 and 4 stage under-the-counter filtration systems, top-counter filters and whole house purifiers. We also do replacement of dirty filters in the Pretoria and Johannesburg(Gauteng) areas! Water purifiers (depending on type) remove viruses, bacteria and other organic and inorganic particles/contaminants found in our water supply. Purifying your water means no more stomach bugs and unforeseen illnesses you will also get that fresh water taste and smell. According to the recent Blue Drop Status initiative by the Department of Water and Forestry, only 8% out of 284 municipalities' water was up to standard. Get your own Blue Spot water purifiers/filters at home or for the office! Please visit us regularly for specials and promotions on purifiers, filters and installation of systems. Most of these purifiers are easy to install and we offer online assistance for all questions and problems that might occur with installation of a purifier! You will only know what is in your water if you purify it. Hope you have pure healthy water in your home! One of the most effective ways of water purification is by the reverse osmosis method. 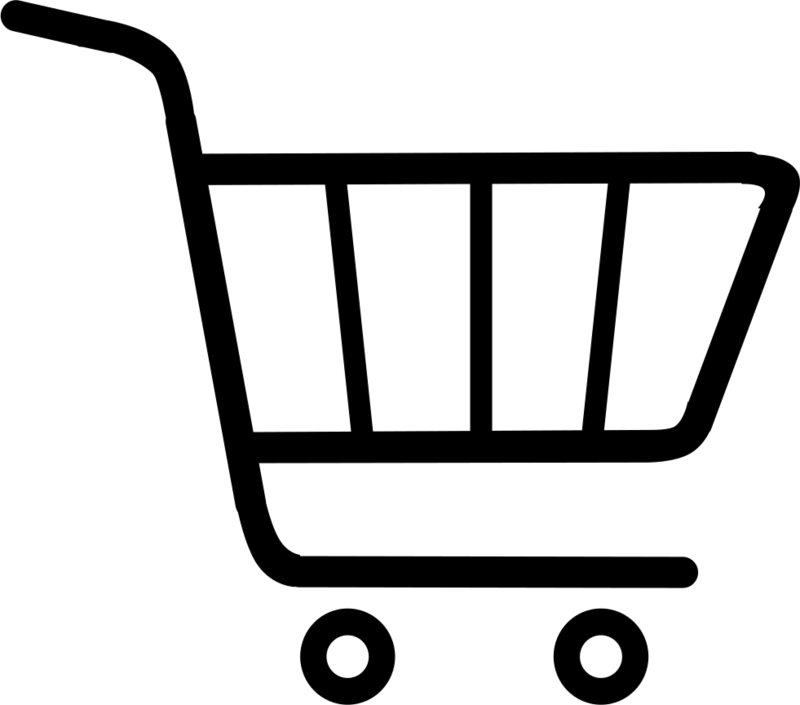 It is commonly used in every day live through industries and products. Reverse osmosis is the separation of particles and impurities from water. This will return water to its most purest state and make it free of particles. Reverse osmosis was mainly designed for industrial use. When people got sick from chemicals only found in there water they made a smaller purifier for home use. These purification systems evolved into the 5 stage reverse osmosis purifier we use. Water that passed through stones and rocks pick up minerals that is essential for human growth and other bodily parts. That is way the 6 and 7 stage reverse osmosis purifier put those minerals into water to make sure only good minerals are in the water. You will know how pure healthy water taste when you put it trough a reverse osmosis purifying system. If your concern about your health you should start by drinking fresh healthy water. Drinking unsafe water is like smoking, you increase your chances of getting cancer. People are made up of 80% water. This is way you should drink between 4 and 8 glasses of water every day for your body to stay hydrated. This helps cool, flush and hydrate the body. If this water isn't clean you put your liver and other organs under pressure and so getting cancer and other diseases. This makes a water purifier not a luxury but a necessity. Water filters cost less than bottled water over a period of time. Having a water filter at home gives you more clean water than having to bay everyday from a shop. Water is life! 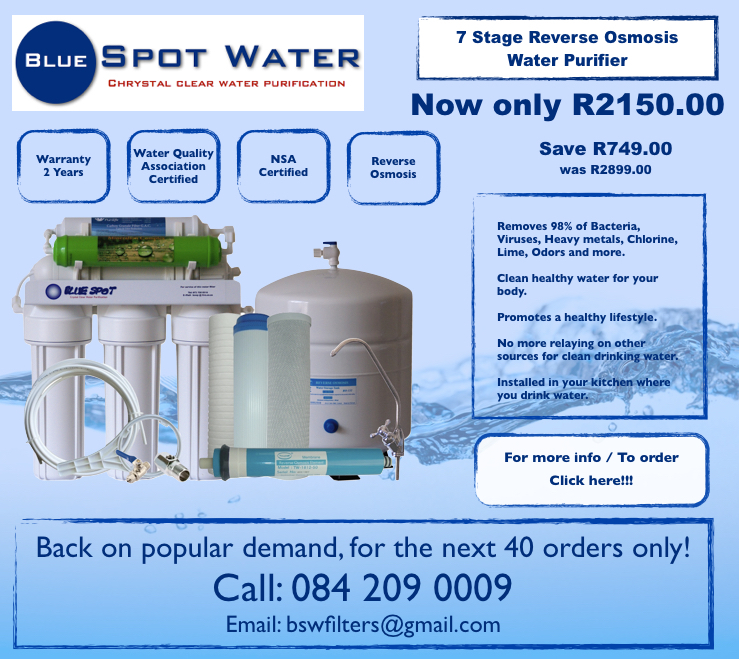 Do it to yourself contact us for your blue spot water purifier!!!! CLICK HERE TO CONTACT US !!!!!!!! To find out more about these awards click Here!